From the Commander-in-Tweet’s public policy pronouncements in Washington to blocking dissent on Facebook in Annapolis to the NRA’s endorsements of the duo, there’s a lot of unhappiness with the current US President and Maryland’s Governor. Angry and teary eyed emojis don’t change public policy, and they sure don’t alone change who’s in power. We need to move beyond social media rants and listserve brawls. We need to engage our neighbors. We need to build and bridge community with our neighbors to take action. Personally, in April of last year I decided to raise my hand and step back in to the political arena. With encouragement and a little arm twisting by friends, I signed up to be a ​Precinct ​Leader​ for the Democratic Party​. Now I’m the face and connective tissue of the Democratic Party to my neighbors. Most Seventh State readers will know what a ​”Precinct​”​ is and what a ​”​Precinct Leader​”​ does, but I ask that you indulge me as part of what I’m trying to do to open up the opportunities and break down the barriers within the Democratic Party. 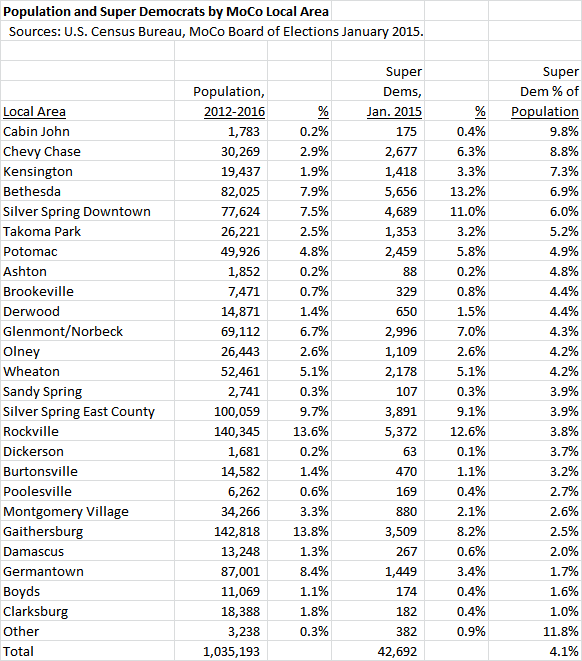 Precincts are the most local part of the Democratic Party. Each community is made up of voters in a community with a common voting location, aka polling place. 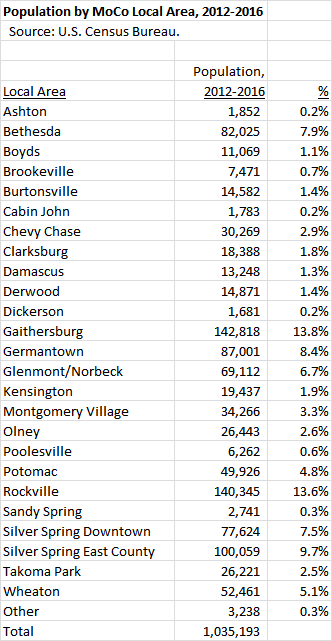 These polling place communities are “Precincts.”​ In Montgomery County alone, we have 255 Precincts​!​ Each ​Precinct has a leader (or two) who is responsible for reaching out, engaging, educating and mobilizing voters and would-be voters in her​/his​ community. Precinct officials and volunteers gather at the party’s precinct organization meeting on March 10. Because I’m relatively new to the inner workings of the Democratic Party, and I have an organizational development background, and I kept asking a LOT of questions, I was asked to co-chair the Precinct Organization of the Montgomery County Democratic Party in August. You know the drill… you keep asking questions, you’re put in charge. The Co-Chairs’ role is to empower, engage, mobilize, communicate, recruit and retain across all 255 Precincts – and ​engage with our 500+ leaders! What I’ve learned is that we have many amazing people who have been doing the ​Precinct ​work of the Democratic Party for a long time: 20+ years! And we have a lot of new people, like me, who are keen to engage, and make a difference. I’ve been asked, “What are we doing differently with the Party?” I tell people that we’re renewing the Precinct Organization. We’re refocusing on Precinct Power. Renewing means prioritizing resources​​,​ training, mobilization, outreach, communication, and appreciation to recruit and retain great ​Precinct Leaders. Renewing also means we have to do things a little differently. Renewal goal number one is to be strategic and intentional about our voter turnout strategy. 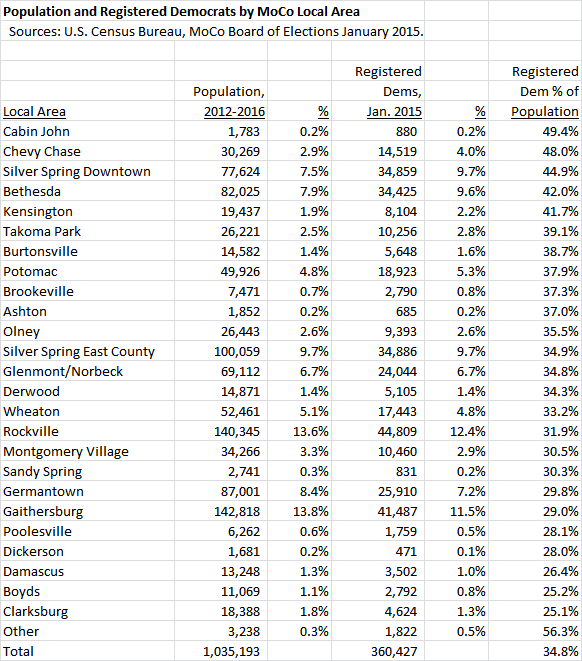 We aim to increase Montgomery County Democratic midterm general election voter turnout by 15 percentage points, from the 45% in 2014 to 60% in 2018. We have a plan. Renewal goal number two is to empower Precinct Leaders. We’re gathering the Precinct Leaders from across the County together every few months to discuss the strategy of the Party, evolve their role beyond Election Day to engage with their communities throughout the year, and build the infrastructure at the State District level so that we can inspire people across the County, coordinate across the Districts, and engage in each Precinct community. Renewal goal number three is to mobilize the Precincts. 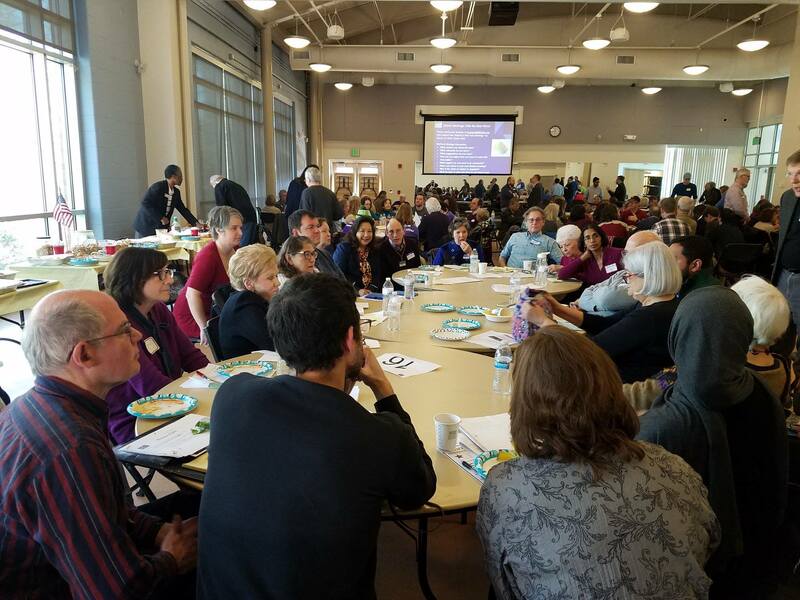 Beginning last summer and continuing through the fall and winter, we engaged Precinct Leaders in canvassing to learn what Democrats think. ​”​Canvassing​”​ means you go door-knocking to reach and talk with​ people. ​It’s proven to be the best way to reach voters and get ​them engaged. These canvasses were not asking the voters to donate or vote. Rather, these were “listening canvasses” to have voters share their thoughts. During these conversations ​we listened and helped connect neighbors with their elected Democratic officials to address issues ranging from a broken street light to an erroneous utility bill to navigating healthcare. The canvasses also provided an opportunity to train our Precinct Leaders in canvassing and outreach. It was about making a personal connection with voters. Bringing the Democratic Party to them! ​Renewal goal number four is to activate each Precinct. To help grow the Precinct Organization, ​I’ve spent the past six months ​speaking to clubs and organizations across the ​County about the ​Precinct ​Organization, and how people can get involved. We also need to engage new voters and immigrants as well. Having people who look, live and speak like they do, is the beauty of the Precinct Organization, i.e., neighbors talking to neighbors. So now comes the pi​tch… With the June primary counting down, and the general election in November, we need to organize. We need to mobilize. We need to engage. We need voters to turn out. We need voters to vote. 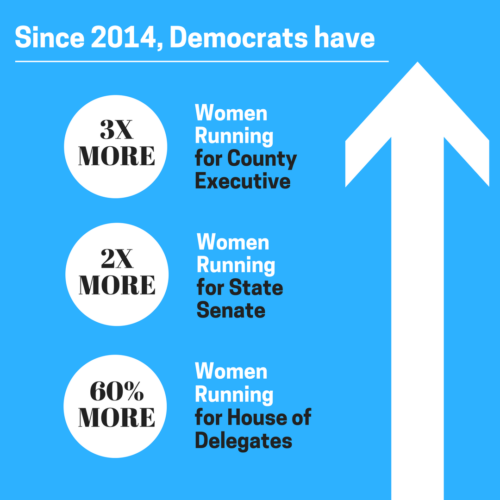 We also need ​Precinct ​Leaders. We need bilingual leaders. We need new leaders. We need leaders who represent their community. We need leaders up county, down county, east county, west county and mid county. Opportunities abound to do something that matters. Together we can build stronger and engaged communities. I’m asking all Democrats reading this to do four things. ​1. Go to the ​Precinct ​Organization map on the Montgomery County Democratic Party website and look up your ​Precinct. ​4. ​Please share this story with as many people as you can ​via email, social media, ​and ​word-of-mouth. We need engaged and empowered Precinct Leaders, who are building and bridging communities, to take back the governorship. I’m committed to making sure that no one come June or November wonders how they can get involved and engaged… how they can build stronger and engaged communities… how they can make a difference. As we ​renew our Precinct Power, we need everyone- new and lifelong Democrats- to help build the Democratic Party, listen to residents, and reach voters to make a difference in their lives and our community. ​George Neighbors is the Democratic Party Precinct Vice Chair of Precinct 13-21​, Co-Chair of the Montgomery County Democratic Party’s Precinct Organization, and the male District 20 Candidate for the Montgomery County Democratic Party’s Central Committee in the June 26 Democratic Primary. Trump loves to invoke white identity politics to rally his base. In recent days, we’ve seen him triple down on this approach to distract from the scandals and fecklessness of his administration. He began this most recent cycle with an attack on transgender people who serve honorably in our military. Trump continued with his embrace of efforts to cut even legal immigration and the recent deportation of a Latino kid from Gaithersburg who won a college scholarship. Now, Trump and Sessions plan to fight affirmative action as an effort to end discrimination against whites. Today’s final installment encourages Democrats to avoid “heads you win, tails I lose” narratives about whites that just communicate whites are bad in a way that plays straight into Trump’s efforts to consolidate white voters. Much ink is spilled today expressing concern about the impact of whites moving into neighborhoods that are predominantly black or Latino. No doubt there are real effects as occurs whenever there is economic or racial change in neighborhood composition. On the other hand, when I was younger, whites were repeatedly chastised for leaving cities. People cannot help but notice that whites are excoriated for moving in and out of cities. In contrast, progressives have nothing negative to say about similar movements by black or Latino populations. Just as whites fled DC, much of the African-American middle class decamped to Prince George’s. Now, many black families are moving into Charles or back into DC. Most people have nothing negative to say about either, which is of course as it should be, with criticism perceived (rightly) as racist. To the extent people want to condemn the appropriation of intellectual property, as often occurred to black musicians in the 1960s, the idea of cultural appropriation is fine. However, stretching the concept to attack when people from one culture use or mix in something from another culture makes little sense, as cultures are not hothouses but constantly incorporate outside ideas. The widely-lauded musical Hamilton seems a great example with Puerto Rican Lin-Manuel Miranda taking the history of the proverbial “dead white man” and mixing it with styles of music developed by blacks and Latinos to create an exciting, multiracial, and rich contribution to our common culture. And utterly appropriate, as we all get to claim the history of this country whether our ancestors were among the Founders or even here at the time. No, not all experiments work out so well. I have serious reservations about the peanut butter chocolate chip bagel. But I’m not offended by it. Finally, to the extent that claims of cultural appropriation demand that whites remain strictly outside observers of black, Latino, Asian etc. cultures, it flies in the face of simultaneous demands that whites need to learn much more about them. Regardless, separating cultures into neat racial boxes is an impossible task in our increasingly diverse society. In The Atlantic, Jenni Avins provided a sensible guide to “The Dos and Dont’s of Cultural Appropriation” that applies the idea in a rational way. Her headline points are: 1. Blackface is Never Okay, 2. It’s Important to Pay Homage to Artistry and Ideas, and Acknowledge Their Origins, 3. Don’t Adopt Sacred Artifacts as Accessories, 4. Remember That Culture is Fluid, 5. Don’t Forget That Appropriation Is No Substitute for Diversity, 6. Engage with Other Cultures on More Than an Aesthetic Level, and 7. Treat a Cultural Exchange Like Any Other Creative Collaboration—Give Credit, and Consider Royalties. Her approach makes cultural appropriation about mutual respect and appreciation rather than a means to catch white people out, which can only alienate people who actually have an interest in cultures other than their own—something to be encouraged and seen as natural in our highly diverse country rather than policed. Democrats don’t need to win back most white voters in order to win—even small gains among whites would have been enough to deprive Trump of his electoral college victory. Giving up on white voters is political folly. Increases in the rising black, Latino and Asian vote won’t be enough alone to win many of the states moving in the Democratic direction, at least in the medium term. Additionally, geographic distribution renders capturing more white votes key to Democratic control of federal and state legislatures as well as the presidency. In Maryland, white votes will determine the outcome of legislative elections in most seats targeted by Republicans, such as those held by Sens. Kathy Klausmeier and Jim Mathias, and whether Democrats retain their ability to overturn gubernatorial vetoes in both houses of the legislature. Notwithstanding Hillary Clinton’s ultimate loss, the Democratic Convention was very successful. One of its most heartening and effective aspects was its embrace of the country, the flag, and our progress as a people. As envious Republican commentators noted, President Obama’s speech and the audience reaction had the optimism previously associated with Reagan. Since the election, too many active in progressive politics denigrate American history and America more broadly. This has always been a trope of the extreme Left but it is in danger of becoming far more widespread. When one reads these posts, it sounds like America has never done right, never can do right, and never will do right. Like many countries, America has deeply unpleasant aspects of its history. Europeans arrived not just fleeing persecution but also as part of a colonial enterprise that exterminated almost all Native Americans. Slavery was the original sin at the country’s founding and the maintenance of Jim Crow after its end continued it. One could also mention the Chinese exclusion acts and the internment of Japanese Americans. But fear of the future as “American carnage” is Trump’s market. Democrats won’t win by hectoring the country on its sins. Few will vote for someone who comes across as thinking that the only proper way to observe Thanksgiving is a vegan apology dinner. Yes, George Washington and Thomas Jefferson were slaveholders and (gasp) white men but they also played critical roles in crafting the country’s democratic institutions and the ideals that many have invoked so effectively to bend the arc of history. No immigrant comes to America because they hate the country—they usually have reason to be grateful for the opportunities and freedom it offers—so the negative approach also has little appeal to the rising Latino and Asian American electorate. We should acknowledge the past but the emphasis needs to be more squarely on our progress and celebrating the great wonder that is America. No need to celebrate historical figures whose essential contribution was primarily negative, like John Calhoun or George Wallace. We want to move to the future to continue our amazing progress, which allows us to acknowledge darker moments in our past but as part of a tapestry in which we continue to move forward hopefully and confidently by holding on to our best ideals. Traditionally, Americans are big believers in the dignity of work. Being unemployed is felt to be shameful while anyone who works for a living, no matter how humble the job, can feel proud. Republicans have corroded this view with an endless focus on the rich. People who work hard but don’t earn much are losers. Instead, we need to focus on the “job creators,” which seems to mean giving wealthy people ever more tax breaks and cutting basic services for average Americans in the manner of Kansas Gov. Sam Brownback. Democrats have tried to take advantage of this with attacks on the rich but have often gone about it in ways that unthinkingly alienate the very people that they’re trying to attract. Many Democrats routinely describe all sorts of jobs as lousy for their low pay and status, or failure to allow much in the way of advancement. Using McDonald’s employees or fast-food workers as bywords for jobs that stink unintentionally insults thousands and doesn’t acknowledge that these jobs actually require skills and ability to work under pressure. Calls for retraining workers and making it easier to obtain more education are laudable ideas. However, telling people that they need to do it so they can obtain “better” jobs comes across as patronizing at an incredibly stressful time, especially since many of the new jobs pay less than the lost jobs. Parking attendants know that they work for low pay in a dark environment with too much pollution. For many in their situation, however, this may be as far as they end up going for a variety of reasons—not all related to lack of opportunity. They do these jobs year in and year out because it puts bread on the table and in the hope that their kids can do better. Even if they could use a helping hand, they want to retain their dignity and their respect. There is a fine line between helping people improve their lives and denigrating the jobs they take to support their families. People who work in “lousy” jobs already know about the low pay and status. Just as they don’t need Republicans to tell them they’re chumps, they also don’t need Democrats saying their jobs are bad or somehow not good enough, which quickly gets read that they are not good enough. A great part of Trump’s success was making whites who work these jobs feel respected in execrable identity terms that communicate that they are the “real” Americans and should come ahead of “those” people and snooty elites of both parties. Obviously, Democrats shouldn’t emulate this approach. A core Democratic belief is that we’re all real Americans. But at the same time, Democrats have to find a way to communicate more respect for these jobs and the people who hold them. Democratic presidents from Clinton to Obama have heralded the many Americans who work two jobs to support their families, which is a good start though not a solution to this knotty problem. It’s also not a quick fix for the bigger problem that many Americans feel that they are falling behind no matter how hard they work. The Republican approach now centers on gutting health care, tax cuts, and making Archie Bunker look tolerant, so Democrats have a real opening if they don’t unintentionally denigrate the voters.